Pro-Palestinian groups argue that Muslims also need protection from Islamophobia on campus, an issue officials neglected to address. 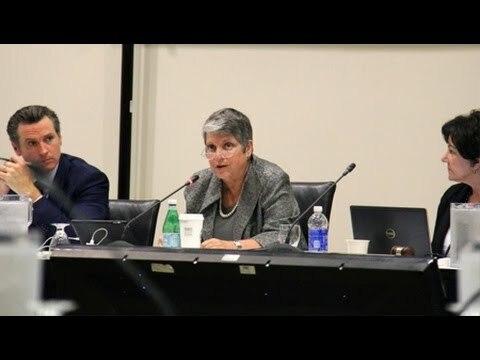 A University of California committee unanimously approved a statement Wednesday that cites anti-Semitism as a form of intolerance that campus leaders have a responsibility to challenge. The University of California is a public university system with 10 campuses and more than a 235,000 students. The “Statement of Principles Against Intolerance” was passed by the university’s Board of Regents and now will be passed on to the full board for final consideration Thursday. In order to pass, officials had to soften a reference in an accompanying report that listed “anti-Zionism” – the rejection of Israel as a nation-state exclusively for the Jewish people – as one kind of discrimination that didn’t belong on university campuses. The statement passed Wednesday, by contrasts, calls on school officials merely to “challenge” overt anti-Semitism, to which it suggests anti-Zionism can sometimes lead. Supporters say the document grew out of a recent rise in anti-Semitism on UC campuses, stemming from heated anti-Israel protests, though critics argue pro-Israel activists are purposely conflating opposition to the state of Israel with the hatred of Jews in an effort to clamp down on academic freedom. Some call it a thinly veiled attempt to squelch political criticism of Israel, including student movements agitating for divestment from and boycotts against Israel. Pro-Palestinian groups and UC faculty members also note the statement passed Wednesday only protects people from anti-Semitism, ignoring the rise in hate crimes against Muslims in the United States.